Temporary Monthly Self Storage is ideal when moving! Temporary Monthly Self Storage is ideal when moving to a new location. If you don’t need to keep things in storage for very long, then temporary storage is a great way to break a move into little bits and make it easier in the long run. Since XTRA STORAGE has multiple self-storage spaces in the area, it’s never been easier to coordinate moves when you constantly have a temporary storage space to pivot in and out of. Wouldn’t it be nice if the timing of life was such that everything works out smoothly? Often a lease can end, and a new one can begin with several weeks in between. What are you supposed to do in the meantime? Utilizing one of our air-conditioned self-storage spaces on a monthly basis can be an excellent way to transition. How to Utilizing Temporary Monthly Self Storage! Using Yourself – If you are just moving by yourself, temporary storage can act as a great middle area for transportation. 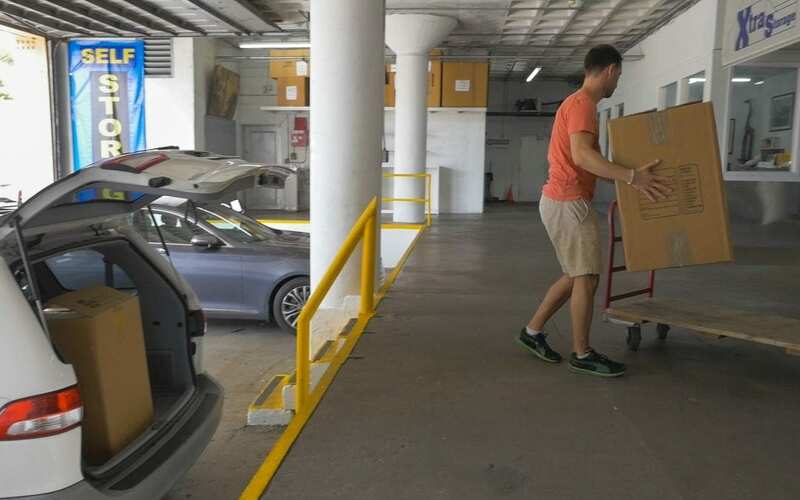 For example: If you are moving from Miami to West Palm, you can use our Plantation location as a layover point for leaving belongings in the weeks preceding your move on your own. Using Your Movers – Using your movers in conjunction with a storage unit can drastically cut down on the time you spend on your move. Hiring a reputable moving company for even a half day can be well worth the money and enables you to trickle in your furniture and items over time. Professional moving services are also the way to go when it comes to art, piano, and wine storage.